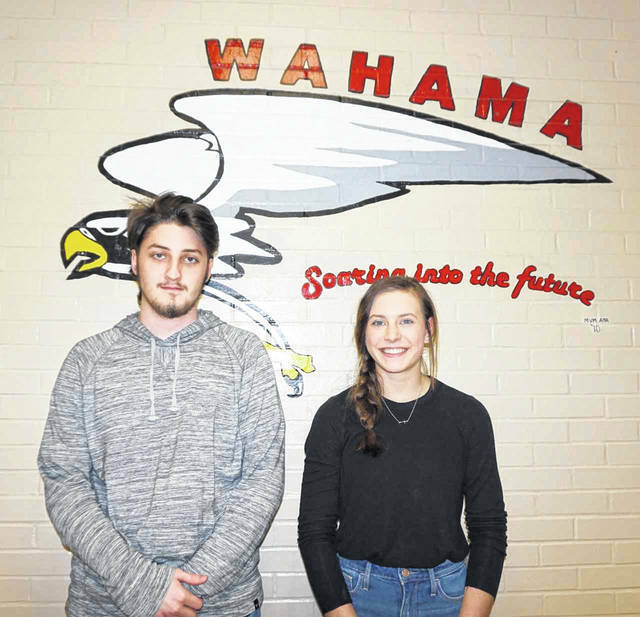 MASON — Two Wahama High School students have recently been recognized for their excellence in writing. Abbie Lieving was named a first place state winner in the West Virginia Young Writers Contest. In addition, Justin Grimm was named a county winner. Grimm is a senior and son of Pam Grimm of New Haven. His entry was titled “The Way of the Road,” a nonfiction piece on reincarnation. Students were given the opportunity to write in any of the prose genres: fiction, nonfiction, narrative, memoir, or essay. Submissions were judged on ideas, organization, voice, word choice, sentence fluency, and conventions. As a state winner, Lieving will attend Young Writers Day on May 10 at the University of Charleston. She will receive a check for $100, and participate in workshops with published authors. Lieving is believed to be the first state winner from Wahama. She is also a member of the school track team.